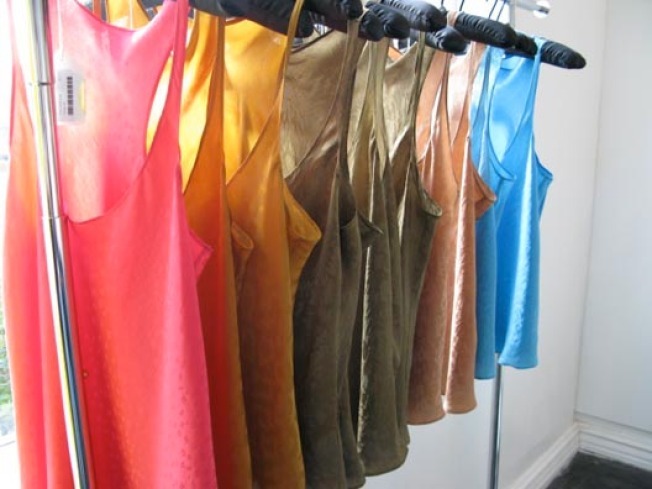 We stopped by new men's and women's accessories boutique TenOverSix to see how things have been going since the opening, and we were immediately drawn to these delicate silk tanks in sweet hues. The tops are actually part of the boutique's in-house label, and are exceptionally wearable, day or night, retailing for $80. Co-owner Joe Cole told Racked more TenOverSix items will be coming in soon; of note, boutique co-owner/shoe designer Kristen Lee will be making shoes from the same fabric as the Ikat scarves, also part of the in-house label and currently in stock (check after the jump).